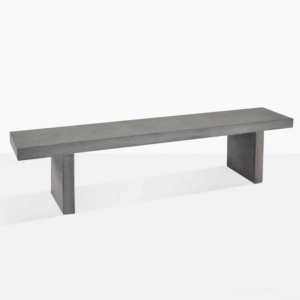 A Backless Bench is a timeless addition to an outdoor space, with the versatility and good looks of such a bench, easily improving the overall comfort and relaxation of your space, while offering more options for seating. A Backless Bench can be unobtrusive, but still inviting. A seating area where guests can easily gather together and converse, or where large gatherings need ancillary seating. Often you can find backless benches at large garden parties, weddings and in dining settings, because the utility and ease of use is prominent with the backless bench. 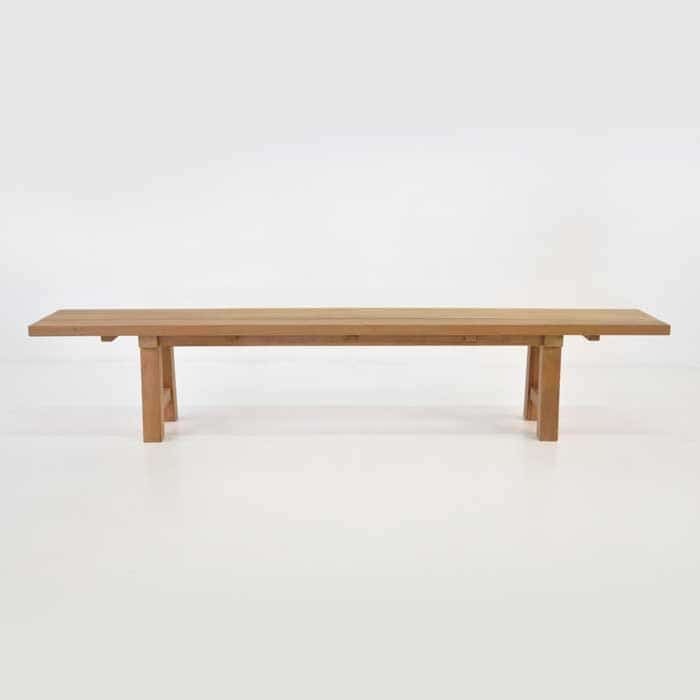 The Backless Bench is a perfect companion to dining tables, where you want a more casual feel, or want to seat a larger number of people on a side. Children’s tables for instance, are a perfect fit for backless benches, because chairs can often be difficult for children to move properly, and benches are easier to get into and out of, especially where the bench is backless. Family dining tables can benefit from a backless bench on one side and chairs around the other 3 sides, where children or stationary guests can benefit from the freedom of a bench, and where others might prefer dining chairs. 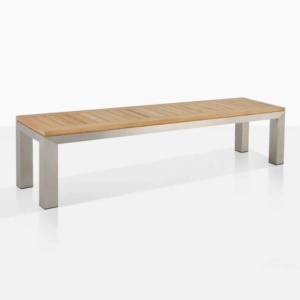 We offer backless benches as garden benches as well in a variety of striking materials and finishes including, concrete (made from a lightweight concrete/fiber composite), Grade-A Teak wood with its natural honey and golden color, and perfect outdoor attributes, as well as outdoor wicker and marine grade stainless steel. 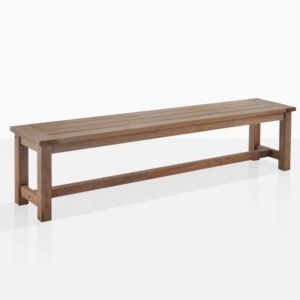 We also offer reclaimed teak backless benches, which are a beautiful and more eco-friendly option for the backless bench that has unmatched character and a feeling of history. We use only premium recycled teak for these benches. 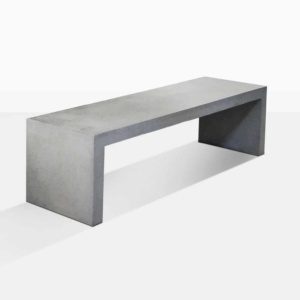 Need a Contemporary Backless Bench? For contemporary outdoor settings, like hardscapes and manicured areas, a backless bench can provide a clean and easy upgrade for seating, without overwhelming the space. We offer styles from classic and traditional, to modern, organic and contemporary in our bench portfolio. 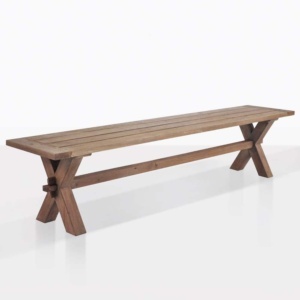 Design Warehouse is the premier provider of Outdoor Furniture in NZ. 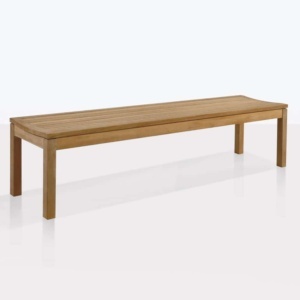 We offer one of the largest bench selections in the region, and surely, as you look through the selection of backless benches we have, you’ll find the perfect match for your space. 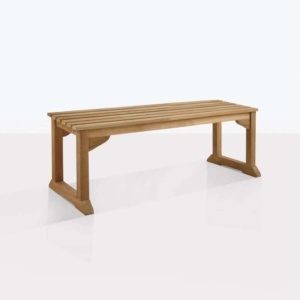 We also offer traditional benches including park style benches and garden benches, from the simple to the ornate and opulent. No other outdoor furniture, perhaps, offers a quicker and more versatile option for those simply wishing to enjoy an outdoor space. 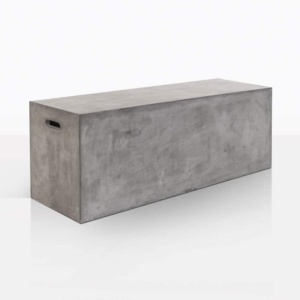 The beauty of a backless bench is that it’s simple, sturdy, unobtrusive and useful. A Backless Bench offers almost complete range of motion and gives many options to the user for how they want to use the bench. 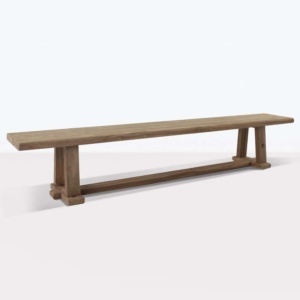 Looking For Other Bench Styles? 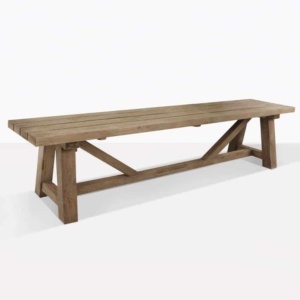 Find the perfect outdoor dining bench or peruse our entire range of outdoor and garden benches too.